List of the best perennials for shady gardens. For many gardeners shady locations can be a huge challenge. 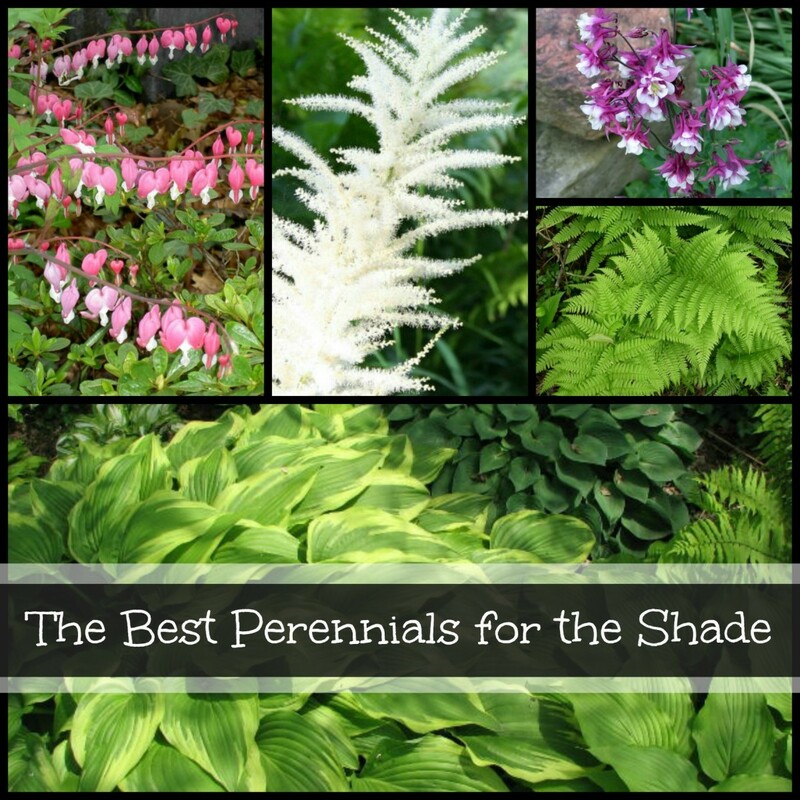 Finding perennials that do well in in the shade can be difficult at times. Once the correct balance of plants is found, the payoff for a garden in the shade is a wonderful woodland retreat right in your back yard. Since perennial plants will continue to grow year after year, selecting the correct plants for the shade garden is essential. Begin by assessing the light in your shady area, so the correct plants can be selected. Partial Shade – Areas that are in partial shade will receive 3 – 6 hours of sunlight daily. Full Shade – A full shade location in the garden will get less than 3 hours of sunlight daily. Adding organic matter such as peat moss or compost is also essential in a shady area. Most shade gardens are located under trees. Although the tree makes a beautiful backdrop for your garden, the tree’s roots will compete for the water and nutrients your perennials need to thrive. By adding organic matter you are adding needed nutrients to the ground and helping to make the soil drainage more efficient. The perennials listed below will give you a good starting point of proven winners in a shade garden. Asters will easily naturalize in the shade garden. Asters flower in late summer or fall when little else is in bloom in the shade garden. Because of their height, they look best when planted in the back of the garden. Asters will tolerate almost any soil type as long as there is decent drainage. The taller varieties may need to be staked to keep them from falling over when they flower. 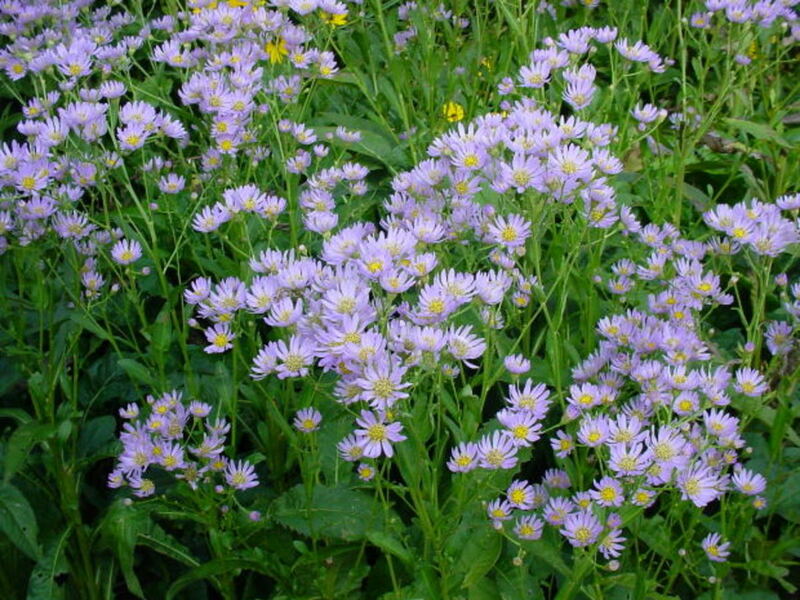 Aster Size – Asters can grow from 1 – 4 feet tall. 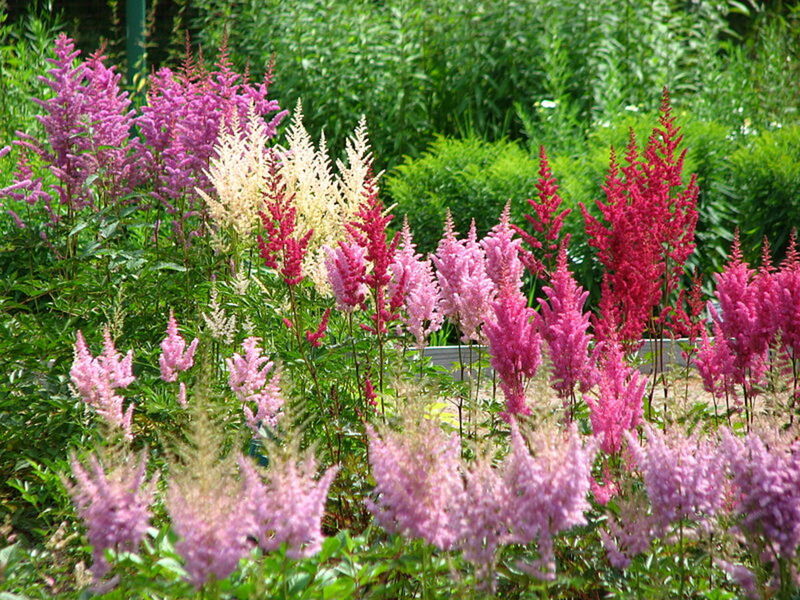 Astilbe can add a punch of white, pink or red to any shady area. The Astible flower is a long and feathery spike that sits atop its delicate fern like foliage. 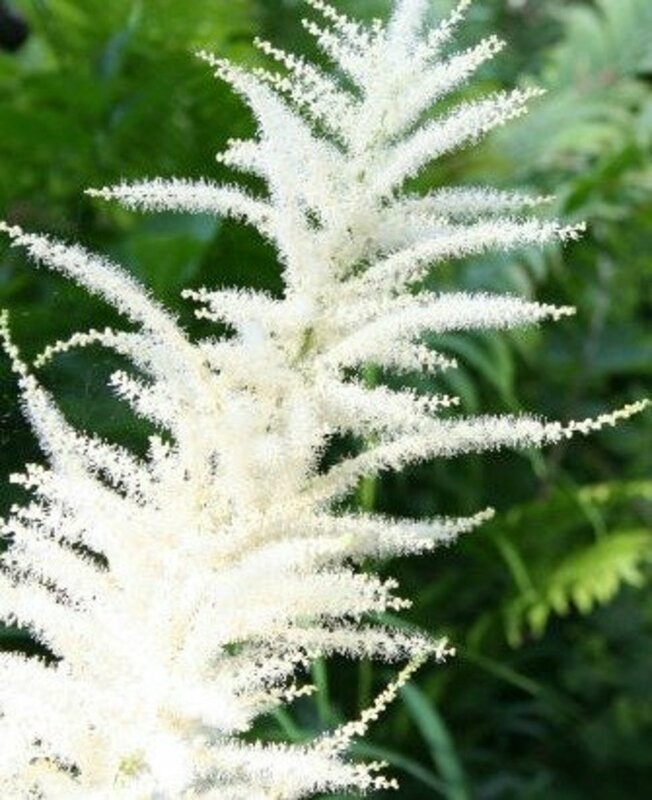 Although they are not picky about soil type watering Astilbe is necessary. They can take the heat of summer, but if the roots of an Astilbe dry out the plant will wither and be done for the year. Astilbe Size – Astilbe will grow from 1 – 4 feet tall. 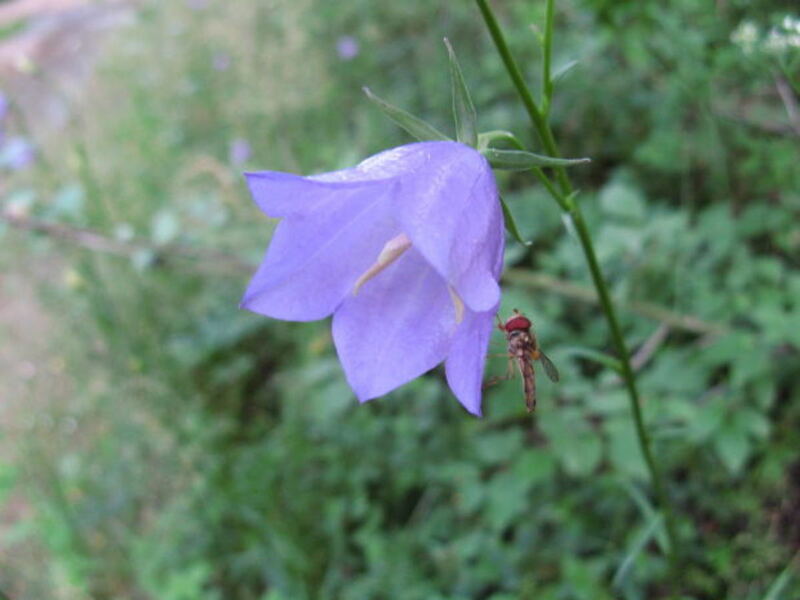 Bellflowers get their name from their bell shaped flower. 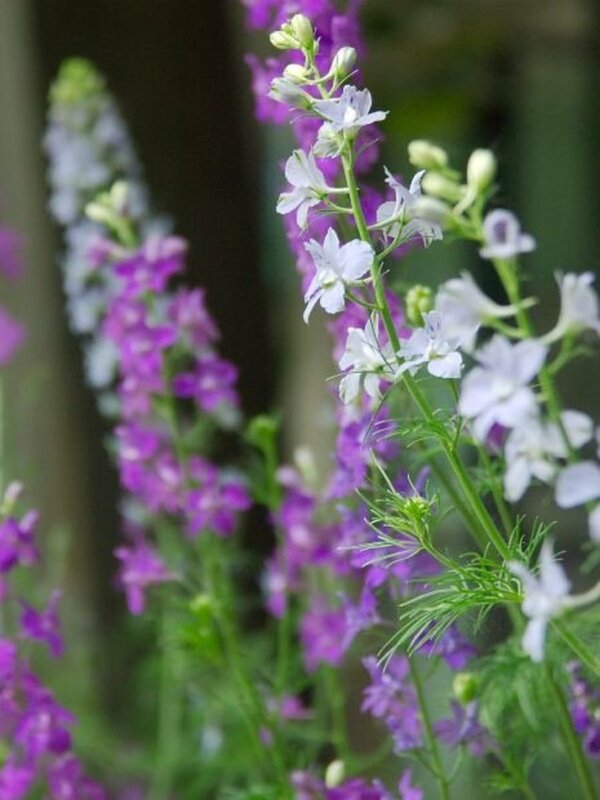 When planting Bellflowers in a shady garden a little research may be needed because the Bellflower is quite a diverse plant. Some cultivars will bloom all summer long, some will make excellent cutting flowers, and others can get invasive and take over the garden. The shorter varieties of Bellflowers are the ones that will work best in the shade garden. 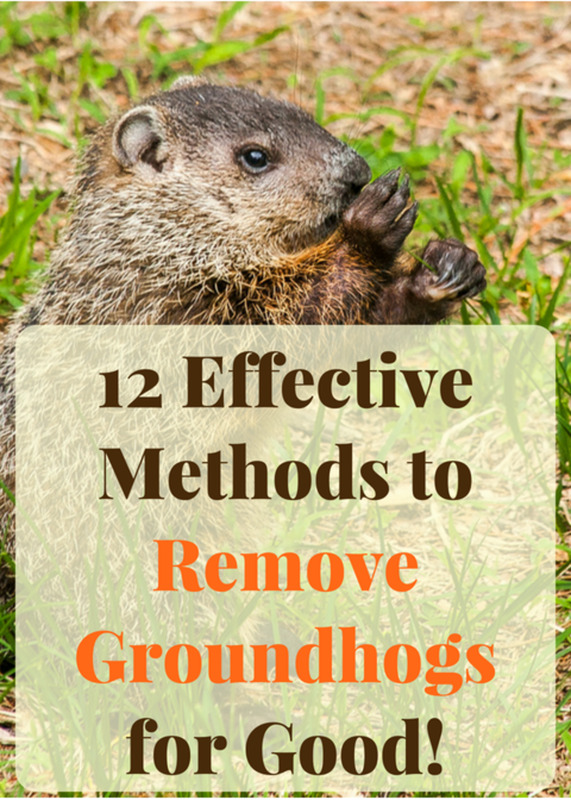 They prefer moist, well-drained soil, and dead heading will keep them blooming throughout the summer months. Hardiness of Bellflowers - USDA Zones 4 – 8. Bellflowers could also grow in Zone 3 if winter protection is provided. Bellflower Size – Bellflowers can grow from 12 – 42 inches tall. Bleeding Hearts are known for their heart shaped flowers that appear to be "bleeding". 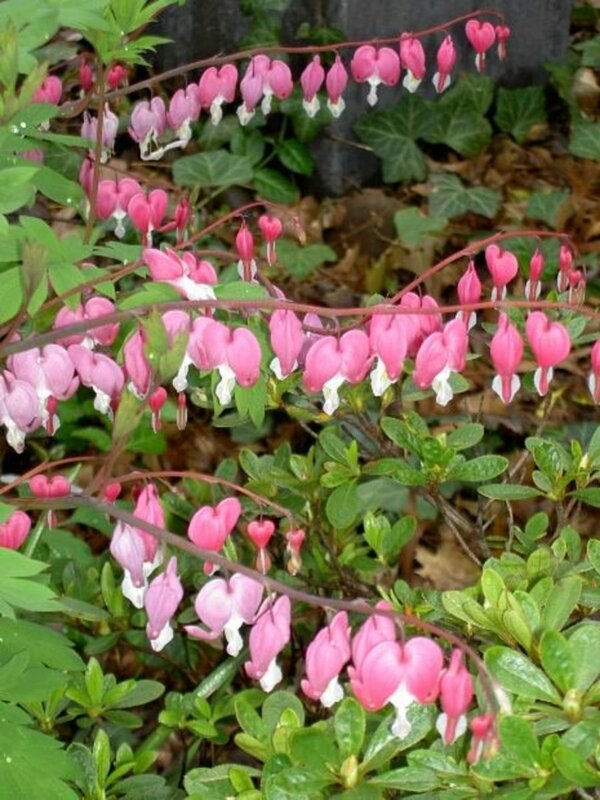 Bleeding Hearts are known for their distinctive heart shaped flowers that bloom along arching stems. Although beautiful in the spring, the flower dies back once summer hits leaving an empty space in the shade garden. Preparing to fill that spot with annuals will keep their disappearance from becoming a problem. Bleeding Hearts are virtually maintenance free, but they do need to be divided about every 4 years. Hardiness of Bleeding Hearts - USDA Zones 3 – 8. The spur shaped flower of the Columbine comes in a variety of colors. 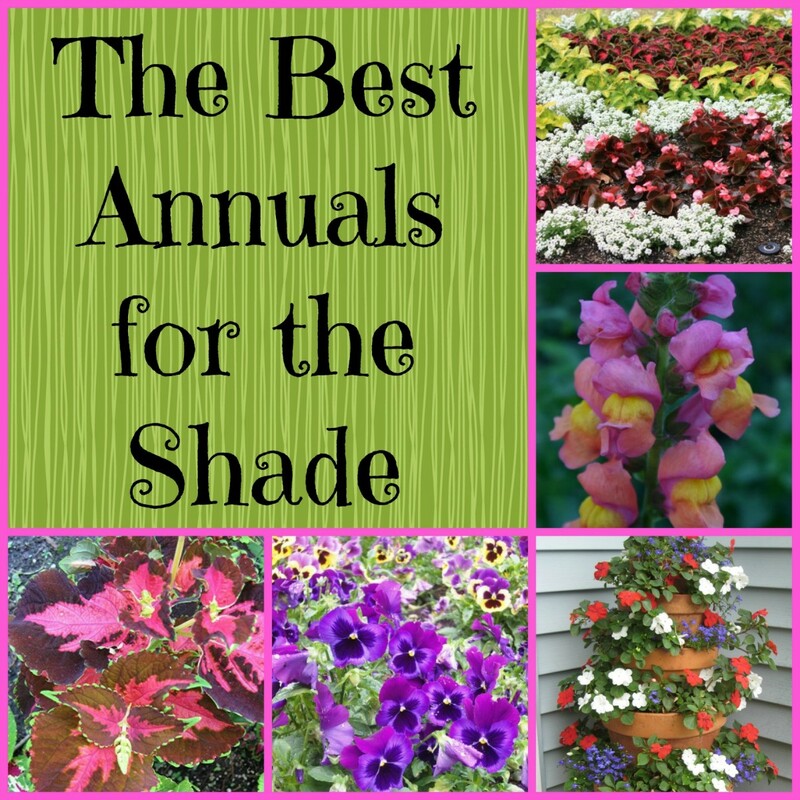 Need some annuals to add to your shade garden? Try the ones in the link below. The intricate spurred flower of the Columbine comes in many colors and can be described as nothing less than stunning. They make excellent cut flowers. 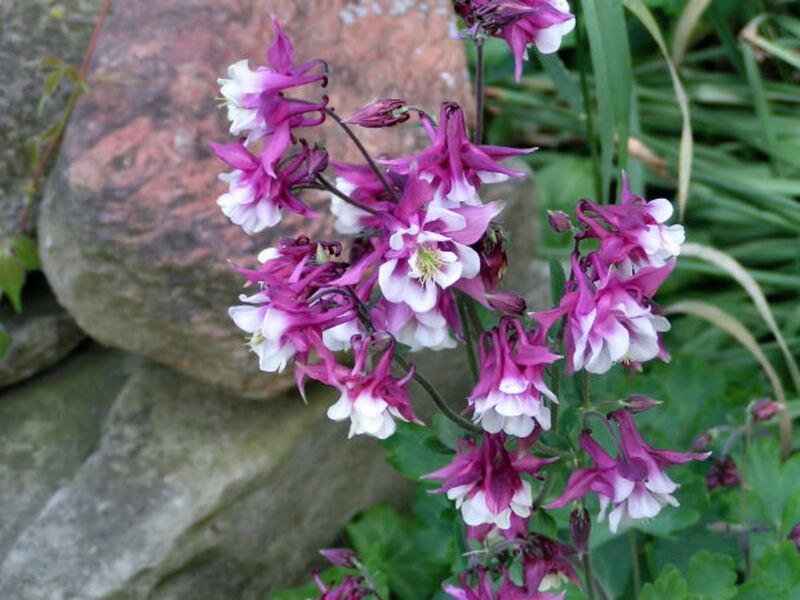 Columbines prefer moist well drained soil, and blooming can be prolonged by dead heading the flowers. This is a plant that will lose all its leaves once blooming is done for the year, so plant some annuals in the empty space to keep the area from looking barren. The regal stalks of the Delphinium flower make excellent cut flowers. Their regal spikes of colorful flowers make the Delphinium a much desired flower for any shady garden. They make an excellent cut flower, but the stately Delphinium does require some work. When planting Delphiniums proper soil preparation is needed, they need proper fertilization, the flowers need dead headed when spent, and they also are frequently subjected to disease. 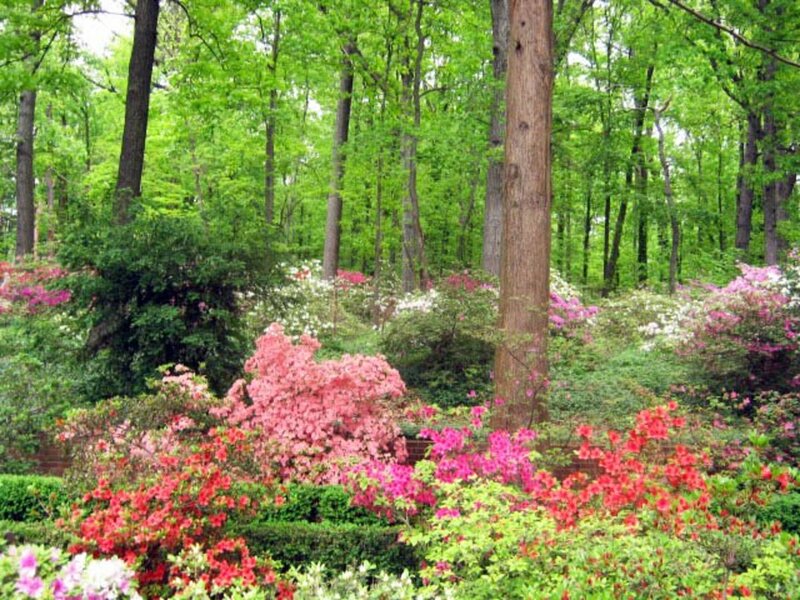 In many parts of the United States the plants are also short lived and new ones may need to be planted every several years. Even with all those issues, the beauty of the blue, pink or white flowers on tall regal spikes make this a perennial worth trying in the shade garden. Ferns are a shade plant that are grown for the texture its foliage gives to the garden. The soft lacy texture of the Fern’s foliage makes this plant a winner in any damp shady location. 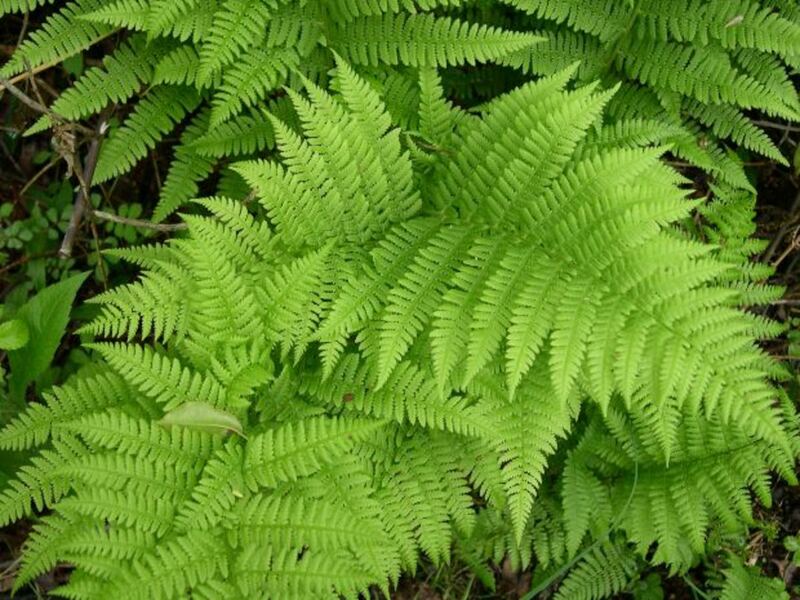 Ferns require moist soil, so they make perfect plants for that densely shaded area that never dries out. Ferns reproduce from spores that usually are found on the underside of their leaves. When planted in the proper location, Ferns will fill in the area beautifully and require little maintenance. Fern Size – Depending on the variety Ferns can grow anywhere from 6 inches tall to 4 feet tall. Colors of Ferns - Grown for their dense green foliage. Hosta plants are essential to any garden in the shade. 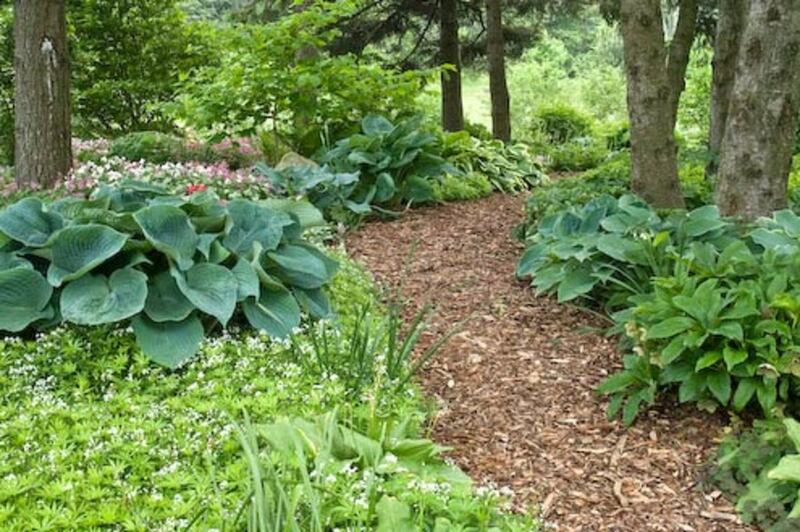 Hostas are easily divided to make more plants. 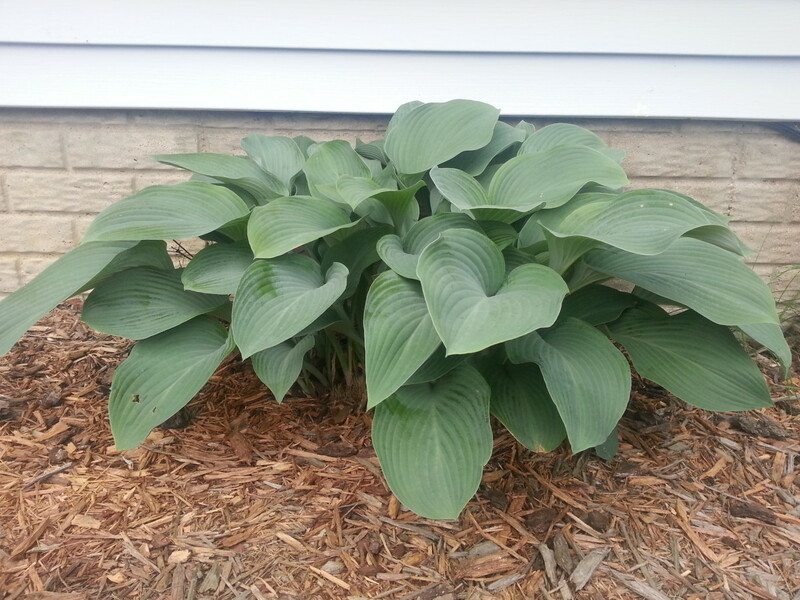 For more information on how to divide Hostas click here. Hostas are an extremely hardy plant that are a must have in any shade garden. 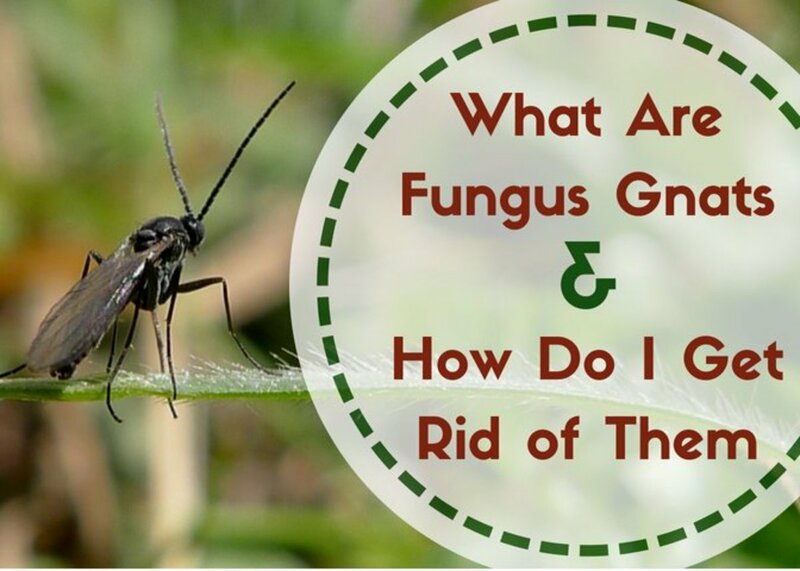 They can be grown in almost any soil type, and require very little in the way of maintenance. They are grown for their mounding foliage which comes in a variety of greens and yellows. There really is not an easier perennial to grow in a shade garden. Hosta Size – Foliage grows from 1 – 2 feet tall, but the Hosta’s flowers can grow up to 3 feet. Colors of Hostas – Although Hostas are generally grown for their foliage, the flower on the Hosta plant will be white of lilac. I use a lot of variegated foliage plants in my wooded garden to provide some brightness under the trees. I'm afraid my deep shade won't work for asters, but the rest sound good. 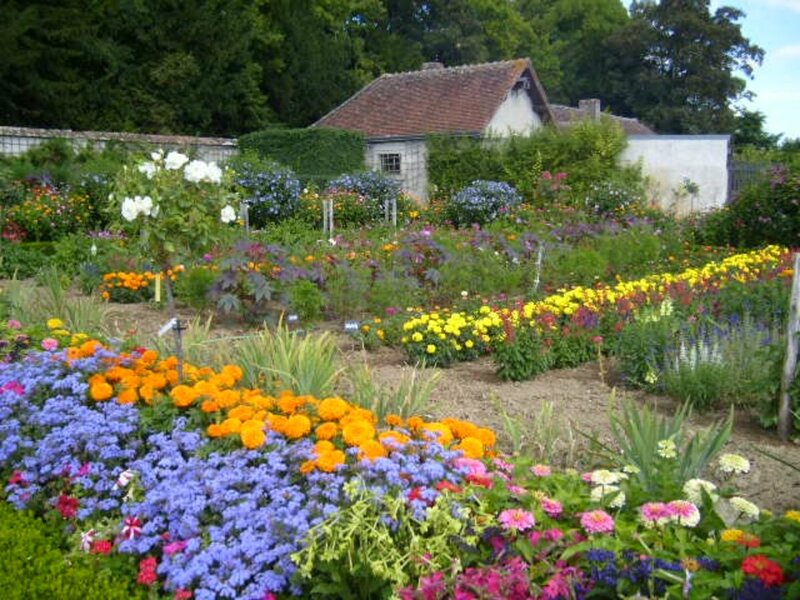 I got some great ideas from this hub, in particular Aster and Delphiniums ...thanks for sharing! I love the Delphinium, the photo is totally how they look in my neck of the woods. There are tons of varieties of them though, some even have 2 - 3 inch flowers on stalks...so gorgeous. It's easy to put the section in blue. Its just a text box, aligned to the right. When you align a text box to the right, it gives you three color choices when you are in edit mode. Great hub, voted up and beautiful. I can't believe you haven't had any comments yet. You did a great job on your research and photos although the picture you have for the delphinium looks more like a tall phlox as I have both in my garden. To me the delphinium has a more dainty look to it although maybe there are more varieties that I've not seen in my area. Can you tell me how you put the section in blue? The part where a person can click if they want to know how to divide hostas. I've seen the blue boxes a lot on here but haven't a clue how to get them if I want to utilize them myself.